1. How to change the size of the big texts such Multi Kill, Double Kill etc? Those kind of messages are too big. I tried the FontBigSize= and FontHeightScale= without success. 2. The killconsole texts are left aligned (centered, idk) when it should be right aligned? You might want to try changing the default font to a smaller one and twist the values, but from my experience i can tell that you will most likely end up with unreadable text. Also all the texts made by scripts (for example kici's votemap script) will be moved and deformated. Since i started playing i tried a lot of different setups and everything besides changing the default fonts will cause more harm than anything. The big text can't currently be resized. I think that you could hide them completely though by blanking those lines in the language file. 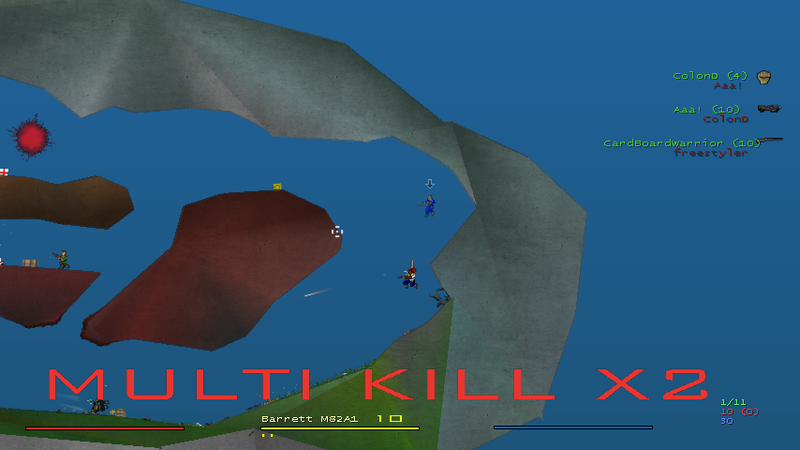 As for the kill console I have no idea what's going on there, though I suppose we should right-align it. Hmm, apparently those texts are hard coded into the game in English. Bummer. I was so sure I was able to change the font size before in english.ini, did ya change it? It's not the same as font.ini? how they could fake serial kill if only player see this text? in screenshot... you are serious right now? ...Yeah, but it is not that easy. At least not as easy as changing a single line of text! Changing size would be handy though.. ..Dr.Penicz knows what he talks about.. I actually never found that to be disturbing.. ..Isn't the red text transparent usually?! I wish there was a way to hide the texts, same goes with flag texts.